Auction pickup and shipping service has always been an integral part of our art logistics services we offer all over the United States. For today, Fine Art Shippers proudly works with such reputable auction houses as Shapiro Auctions and Roland Auctions in New York, Nye & Company in New Jersey, Jackson’s International Auctioneers and Appraisers in Iowa, Leslie Hindman Auctioneers in Illinois, iGavel Auctions in Texas, and many others. 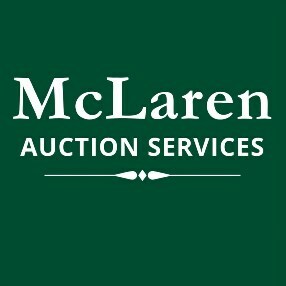 We also provide comprehensive auction pickup and shipping service on the West Coast of the United States, and in this blog post, we want to tell you about the amazing McLaren Auction Services that has proven to be one of the top auction houses in Oregon! McLaren Auction Services is a premier antique auction house headquartered in Aurora, a beautiful town that has long been considered the antique capital of Oregon. It is owned by Gary McLaren, a professional auctioneer with more than 30 years of experience in selling and buying antiques of any type. McLaren Auction Services specializes in benefit auctions, fair market evaluations, and certainly estate liquidations with auctions held every three weeks live and online. McLaren Auction Services is indeed one of the best antique auction houses in the United States, with amazing customer service and really great people working there. Highly recommended! At Fine Art Shippers, we are happy to work with McLaren Auction Services and provide this respected auction house and its many clients with our professional auction pickup and shipping service, handling all of their logistics needs!